What is the IEEE International Conference on Global Software Engineering (ICGSE)? ✹ The flagship annual conference of the international global software engineering (GSE) community. ✹ Organized by international community; held in international locations. ✹ Attended by academia, industry, and government. ✹ Approximately 30% of atendees are from industry. ✹ Attendees are drawn broadly from Europe, North and South America, Asia, Australia, and New Zealand. ✹ Professional development via tutorials, workshops, and latest research. ✹ Listed by: IEEE Xplore Digital Library, DBLP, Microsoft Academic Search, Google Scholar, Compendex, and the Library of Congress. ✹ Advertised through: Allconferences.com, WikiCFP, and SEWORLD, among others. The mission of the ICGSE conference series is to be the premier means of communication and advancement of research and practice in global software engineering. ICGSE conferences aim at bringing together researchers and industry practitioners to freely share and explore both the state-of-the-practice and the state-of-the-practice in software engineering for global software engineering, from the point of view of both academia and industry, worldwide. ✹ Showcase thought leadership in GSE. ✹ Learn about the latest trends and experiences from experts in the field. ✹ Connected with talent interested in GSE. ✹ Emphasize your organization's involvement in the field GSE. ✹ Support the development of the next generation of global software engineering practitioners and researchers. ✹ Network with thought leaders in GSE. ✹ Excellent recruiting venue for highly qualified software engineers. ✹ High visibility to a broad community of researchers and practitioners. ✹ Organization's logo on ICGSE publicity materials. - Conference website, advance publicity, proceedings and program. - Signage and banners at the conference. 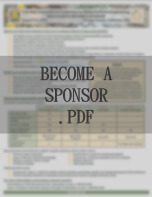 ✹ Provide corporate information to attendees.